The Extension Board is perfectly designed for continuous and heavy usage. Connect more than 5 devices at a time. Made of top quality material to last long. If you use lots of electric devices then one wall socket is not enough for you, you need an extension board. If your charger cable is not long enough and you want to use the device at some place far then you can buy an extension board. Its rugged metal housing is durably constructed, making it a great solution on the factory floor, in a workshop/garage, or for commercial applications. UL approved 15A circuit breaker provides over load protection for your sensitive home/office devices and tools. 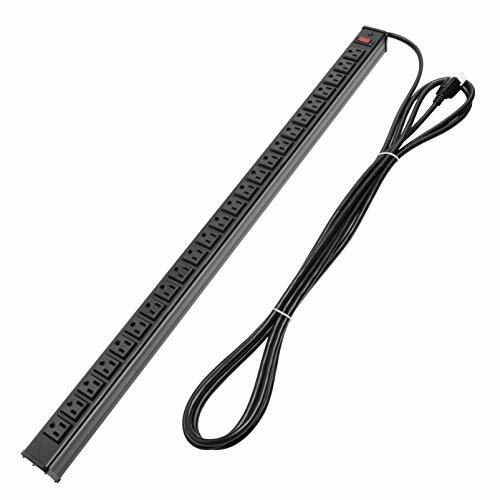 -Versatile power strip ideal for appliances, power tools, lighting and other electrical equipment. -Lighted, On/ Off switch with transparent snap-over guard. -15 foot power cord and NEMA 5-15P plug. -Certified to ETL or UL certifications.